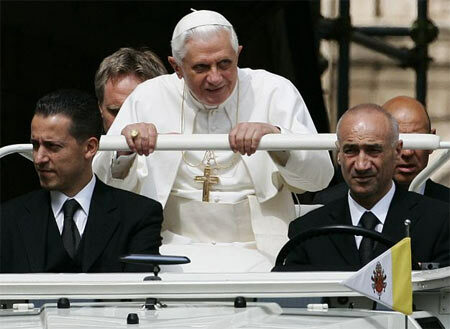 > So the Vatican has produced its own 10 Commandments for drivers. Ludicrous idea of course but here are a list of 10 Commandments I liked from one commenter on The Guardian. 1. Thou shalt not encourage Catholic women to eschew birth control – particularly those who are unable to afford to support more children. 6. Thou shalt acknowledge that popes in the Middle Ages indulged in simony, homosexuality and licentiousness without trying to excuse their behaviour in any way whatsoever. 7. Thou shalt acknowledge that many popes have been outright warmongers. 8. Thou shalt acknowledge that the Catholic Church has protected paedophiles and commit that any members of the priesthood who are caught doing in this in the future will be offered straight up to the appropriate legal authorities with no excuses or prevarication. and finally on a lighter note..